Why are posts by Rohingya activists getting deleted? A number of Rohingya activists have had their social media accounts curtailed during the recent conflict in Myanmar, leading many to question whether they have been targeted by a co-ordinated campaign. Shah Hossain is a prominent activist living in Saudi Arabia. He's been running a Facebook page since 2010, and was surprised when he saw that a number of his posts detailing the recent events in Myanmar's Rakhine state were being deleted. Much of the content included graphic depictions of violence, but Facebook's guidelines generally allow such images if they deem them to be in the public interest, rather than "shared for sadistic pleasure or to celebrate or glorify violence." Hossain says he has contacts living in Myanmar who regularly send him images and videos of the conflict unfolding there. "We are getting so many images, all of them are graphic. If we are not showing these graphic images to the world, what will we show?" Hossain tells BBC Trending. Hossain is one of a number of Rohingya activists who have had accounts or videos taken down by big social networks in the wake of the conflict in the region. And the issue is not confined to Facebook. 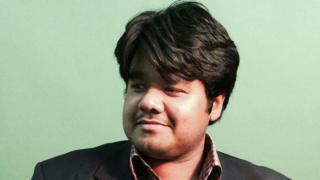 Hossain is also one of the activists who runs the YouTube channel Arakan News Agency. "There was nearly 60,000 subscribers and suddenly YouTube deleted that channel. That is not what we were expecting from social media. We were trying to highlight our issue but social media platforms are blocking us," Hossain says. After Trending contacted YouTube, the company said the channel had received several "strikes" in quick succession, which resulted in the suspension - but that they had taken the decision to reinstate it. Rohingya crisis: What's behind these 1.2 million tweets? The issue Hossain is trying to highlight is, to say the least, a complex one involving violence and competing narratives. Since last month, more than 400,000 mainly Muslim Rohingya have fled from Myanmar to neighbouring Bangladesh amid a military crackdown in Myanmar's Rakhine state, which the UN says could amount to ethnic cleansing. According to human rights groups, the military have been burning Rohingya villages. Yet the army says it is responding to attacks by militants and denies targeting civilians. Some of the posts Facebook removed from Shah Hossain's page are very graphic. One shows a group of men digging a grave for women lying lifeless on the ground. Another video shows a young boy, naked and looking disorientated, with a gash on his head and covered in what looks like ash. The men at the scene say that the boy has suffered burns after militants torched their village. BBC Trending has not been able to independently verify the authenticity of either of these videos. But Hossain's story is not an isolated one. And not all of the activist posts being removed are graphic. Nay San Lwin, a Rohingya activist based in Germany, runs a network of local activists in Rakhine state. Lwin regularly posts comments on his Facebook page in Burmese detailing what he hears is happening on the ground. Lwin says text-only posts containing allegations against the Burmese military have been taken down, along with posts including poems. "My colleague based in Kuala Lumpur was posting very simple news [items] in English," he says. "Those were removed by Facebook and his account was frozen for 72 hours." He has thousands of followers on social media, which he says also makes him a target for abuse: "They have sent me death threats because I am posting all this information on my Facebook page." Lwin believes the removal of the posts is part of a campaign by government or government backers to discredit Rohingya online by reporting their posts to social media companies. The allegation is difficult to prove but has also been made by human rights groups. "We've had reports from a number of Rohingya activists that we know and work with who have had their Facebook and Twitter accounts or their posts being deleted," says Laura Haigh, Amnesty International's Burma researcher. "It's actually unclear where this is coming from and why," Haigh says. "What we understand from these activists is the providers, whether it's Facebook or Twitter, are receiving a large number of complaints about their posts. There are a range of posts being removed, and a lot of it from activists who are known to be reporting on the situation in the Rakhine state." "It's all part of a propaganda war that's going on behind the scenes here," she says.